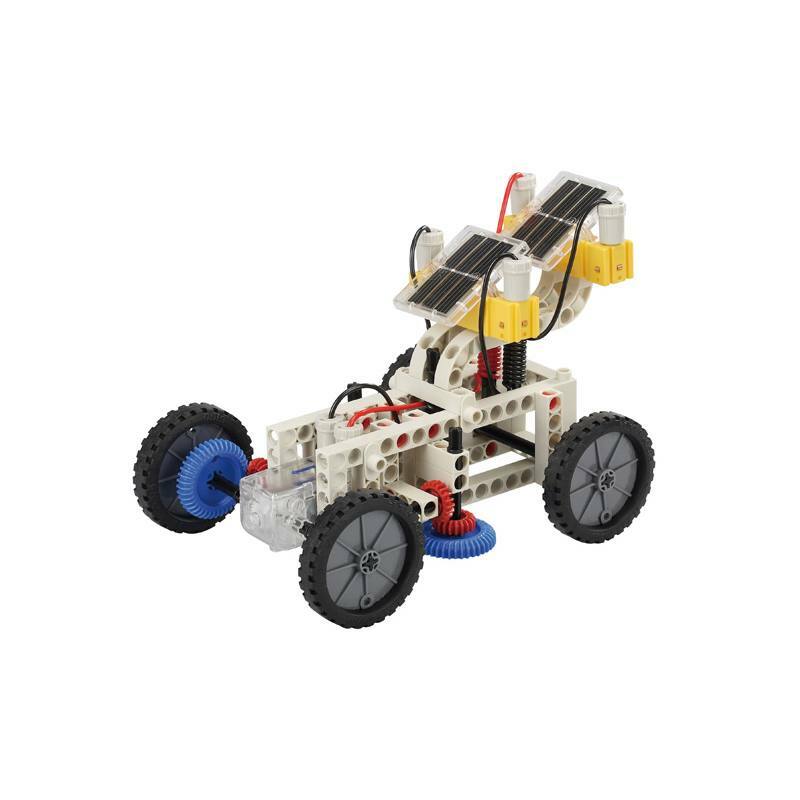 With this Solar Kit students can independently construct vehicles, ships and machinery powered by up to two solar panels. Through plug connections, the children learn important details about circuits and the importance of solar energy. These exciting experiments promote the understanding of sustainability and environmental protection. Use 265 parts to be built up to 22 different models. The 56-page manual describes the practical operation of solar cells. For all models there are detailed assembly instructions. Not suitable for infants under the age of 3. Danger of suffocation due to small parts.